The Oblong Box screenwriter Christopher Wicking adapted this sci-fi horror from the pulp novel The Disorientated Man by Peter Saxon. 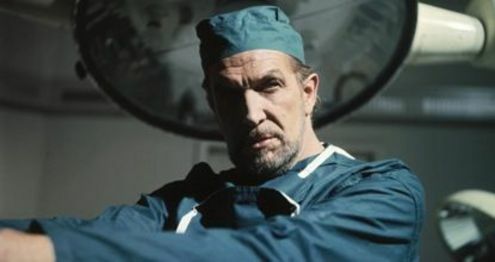 A co-production between Amicus and American International Pictures, this ambitious mix of Franken-science, Cold War conspiracy thriller, gritty crime drama and vampiric chills found Vincent Price up to his usual nasty business playing a mysterious surgeon called Dr Browning, who is secretly creating composite super-beings intent on taking over mankind. 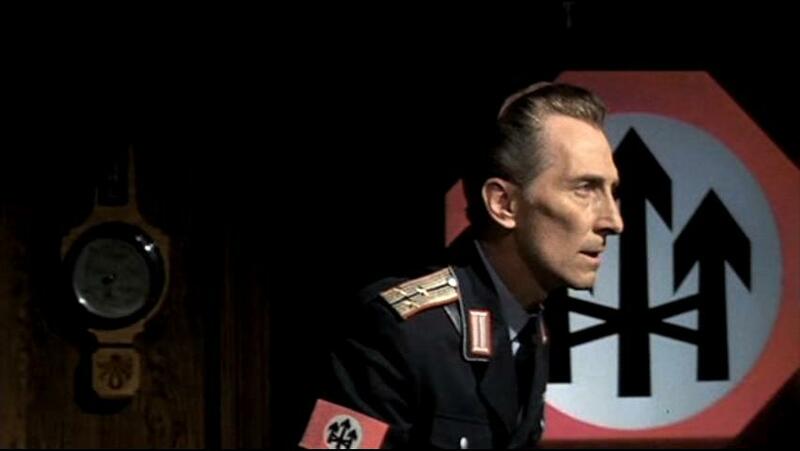 But you have to wade through a couple of seemingly-unconnected plots involving Michael Gothard’s superhuman hipster vampire gorging on some Made in Chelsea types and Alfred Marks’ inefficient police investigation, plus Marshall Jones’ Eastern European fascist assassin taking down his superiors (with a Vulcan death grip, no less), before you get to Price doing what he does best. But it’s so worth it. Christopher Lee and Peter Cushing put in an appearance, as so do Welsh rockers The Amen Corner, who supply the catchy the theme tune. 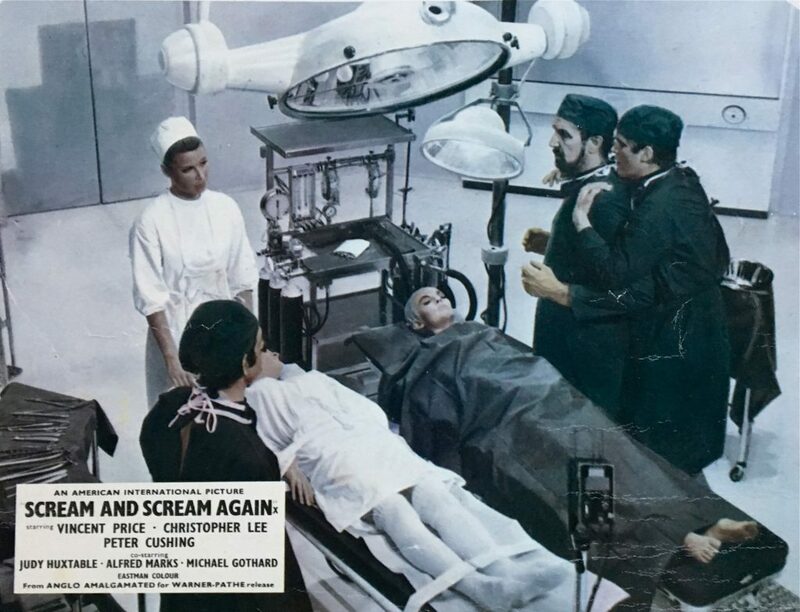 * Want to know more about this sci-fi horror oddity… then check out Peter’s extensive review on The Sound of Vincent Price website. 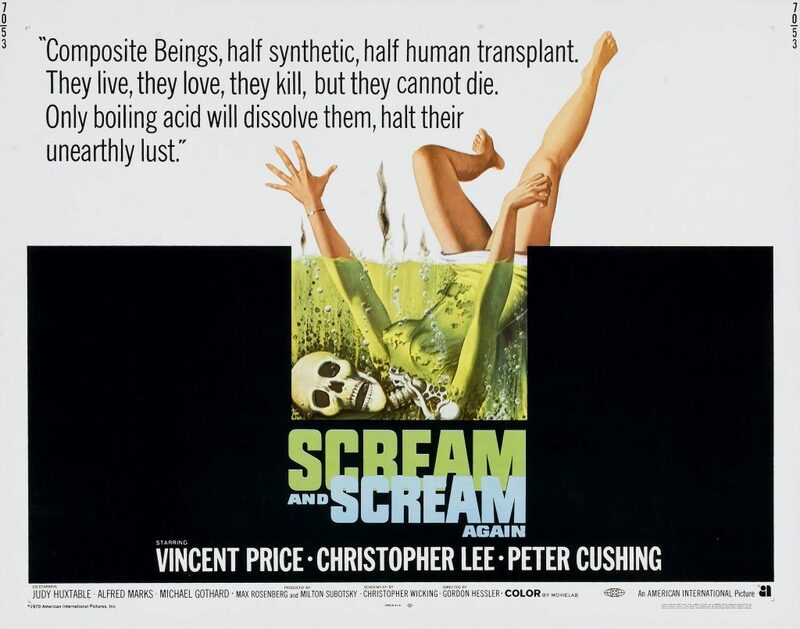 To accompany a screening of Scream and Scream Again I propose a luscious liver dish from Vincent Price, accompanied by Peter Cushing’s favourite way of preparing beetroot. 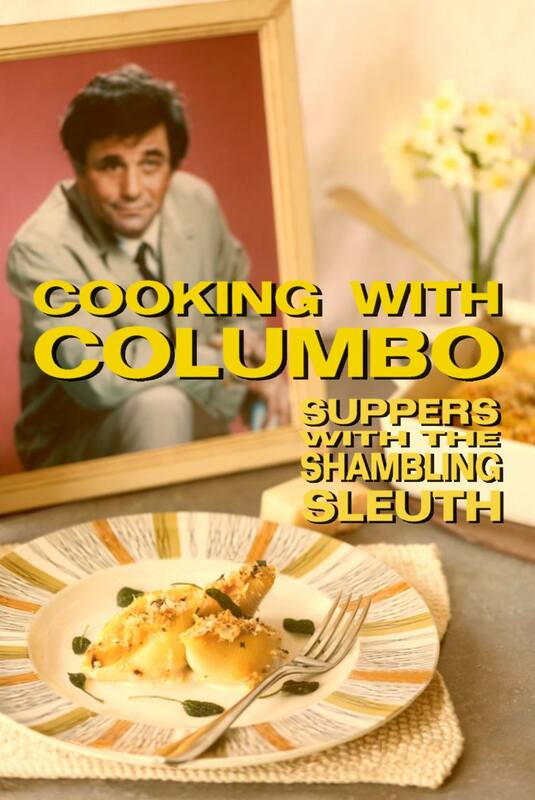 Mr Cushing’s recipe appeared in a vegetarian cookbook, so he may not have approved of this menu. Do not recoil from the liver if you are not a veggie though, Vincent’s way of preparing it is absolutely delicious and it’s an earthy accompaniment to the peaty beets. If you have ever heard Vincent say the words “chicken liver” I am sure that you will not be able to resist attempting to say “calves liver” in exactly the same manner. Nice with an egg on top if you are not a liver lover! Melt butter in a large skillet/frying pan and sauté the onions and sage for 10 minutes or until onion is lightly browned and cooked. In a paper bag combine the flour, salt and pepper. Add the liver and shake bag to coat the pieces with seasoned flour. Add liver to onions and butter and cook over a high heat for 5 minutes, stirring constantly. 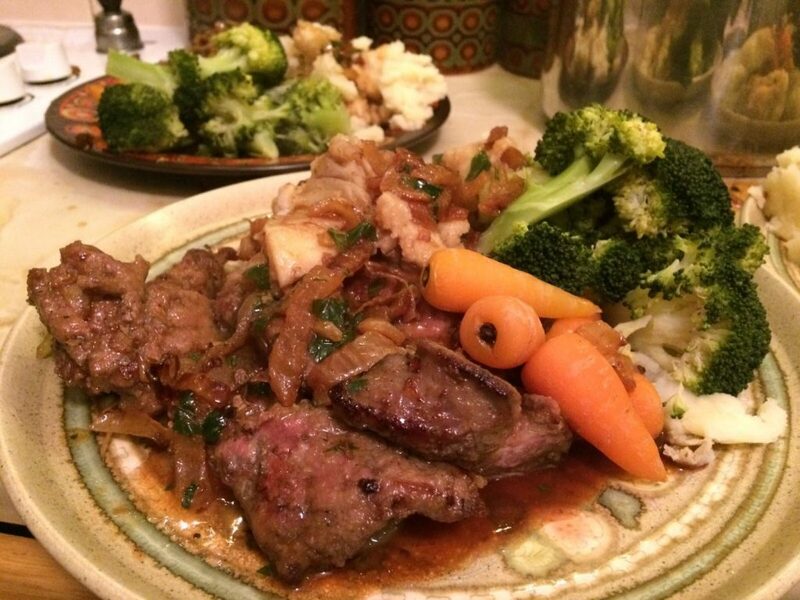 Put liver on a warm serving platter or your dinner plates. Add the parsley, beef stock and wine to your pan. Cook for 1 minute, stirring in all the brown glaze from the bottom of the pan. Pour over the liver and onions and serve immediately. 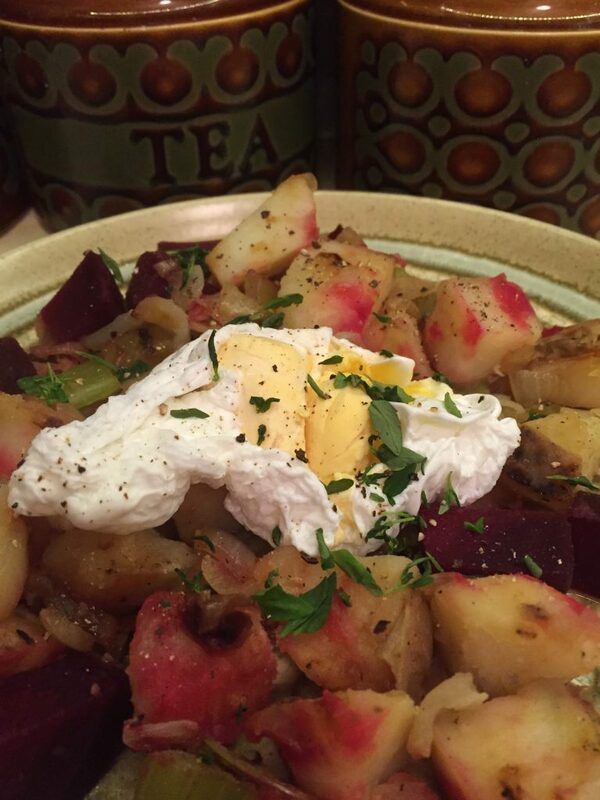 Vincent’s recipe serves three, and you will definitely have enough beets for three. Adjust as you see fit if you are feeding more or less folk. I would have something green too, maybe some peas for the full retro effect. Love this picture, ever thought of food photogarphy as a career.. now eating lunch and it doesnt look as appealing. Thanks again for joining the blogathon with your wonderfully unique posts. Thanks a million Gill, I need to get better at food photography – I’m always dying to eat the grub so usually just quickly snap it! 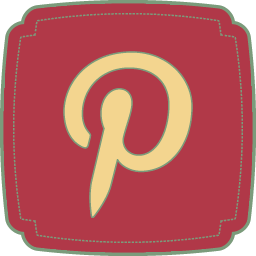 It’s been great fun participating in the blogathon! Scream and Scream Again is definitely a whole lot of fun. 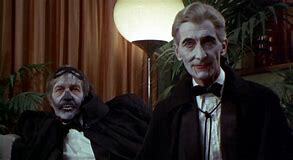 And it is enjoyable seeing Vincent Price, Christopher Lee, and Peter Cushing all in one film! I agree with you Terence! Great fun!